Well as it seems every other club has one for the season ahead, I thought I would start one for the mighty Annan. Well the league has started well. We are yet to lose, even though every other club we play think they should have won the game or got something out of it! Puzzling. I am under no illusion that we will probably stumble at some point, but where the momentum is still with us, why not, why not get in the playoffs, or more if the Peterhead wagons wheels come off, let’s be there or there about. Dreaming, yes, but that is what it’s all about isn’t it? Really wish we could get more home fans through the turnstile while this good run continues. Give your team some support. We did not derserve the to get anything, and looked slightly off the pace. Let’s hope to bounce back with a good cup win. Now that would bring the confidence back. The first Shareholders meeting has been confirmed. It will be held up at the Football club on Friday 5th of October at 7.30pm. I would like to encourage as many Shareholders as possible to attend. If you haven't yet but would like more information about becoming a Shareholder or other ways to get involved in the club please feel free to get in touch. Good luck to Kevin Rutkiewicz on his appointment as Stirling Albion manager. 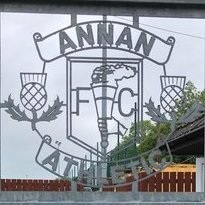 Seems Annan is now seen as a good place to build football management experience. I wonder what the Clyde fans would think of that statement ? Probably not a lot but what's new ! Clyde fans can think????? Learning something every day! Surprising loss for Annan today! 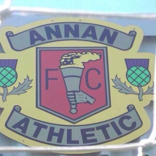 What do Annan fans think about your chances of making the play-offs? Very very unsure - passing about is nice but the games about scoring. Personally I don't think our club is in a good way. In about 3 weeks time they will report about a £49 k LOSS, so I have been told. AGM delayed due to some financial parity ! & then move to 6.30 on Friday 30th Nov.
6.30 ? ? Do they not want people there! So our Community club advertise on facebook ( no everyone is on facebook) - asking people to donate old winter jackets for the homeless in Glasgow , organised by Hardip for the Scottish Sikh community. Fantastic gesture. Leave donations club shop from 2pm. My friend and me brought some jackets but were met with a similar response when we asked where do you want the jackets for the homeless ? I saw Ginger - " Yeh put in club shop"
Saw John Peel ( runs club shop ) "NO dont want them see Ginger"
Kinda pissed off I even made the effort which was apparently not appreciated. I what AAFCSim or any other Annan fans think about your chances of making the play-offs? Slim chance. If Annan are in the playoffs it'll be in 4th place, and only just. Playing some nice stuff at times but just not being clinical enough. I'm not sure who should be starting up front at the moment, I suppose it's good to have options at this level but none are currently firing. On the plus side there's not been too many conceded and that's been largely with a makeshift backline. It'd be good to have Watson and/or Swinglehurst back to allow Hooper to get back to full back and Sinnamon back in midfield. We've also yet to see if losing Kevin Rutkiewicz from the coaching staff will have an impact. Hopefully not, but he seemed to be a big influence, time will tell. I’m only going by what I have seen over the last 3 weeks, and may regret this post in a couple of months time, however, I think losing a guy like KR is going to have some kind of impact to Annan. I don’t claim to know what your coaching team is like but a character like that is hard to replace. I think losing a guy like KR is going to have some kind of impact to Annan. I don’t claim to know what your coaching team is like but a character like that is hard to replace. Thought Christopher Johnston was the best player on the park on Saturday and Lewis Strapp impressed also. Are they your players or on loan? As we saw with the Elgin v Berwick game on saturday, it's a wide open league and almost any team can go and get a win. Probably still 6 or 7 teams could be in the play-offs at the end of the season.